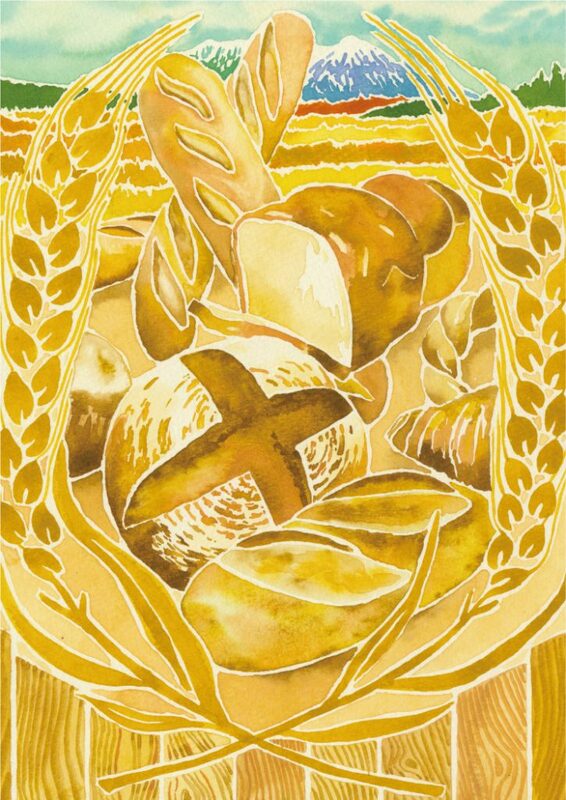 “Daisen Wheat”. When I lived in Daisen, I have tried making a pound cake with Daisen wheat which I got from a neighbor. I was not good at making sweets, I did not even know the varieties of wheat at all. The cake which I made by looking at a recipe, was amazingly delicious based on the powerful and thick texture.After that, I was always wondering what Daisen Wheat is, every time I see it at bakers and local markets and so on. While listening to Mr. Kasaya who we asked some questions this time, I happened to realize the fascination and splendor of the Daisen Wheat project. Mr. Nobuaki Kasagi has served as secretary general of this “Daisen Wheat Project” from 2014. 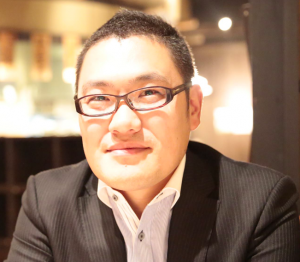 Mr. Kasaya’s main business is a management consultant. Although he might of eat bread and noodles, he had nothing to do with wheat at all. 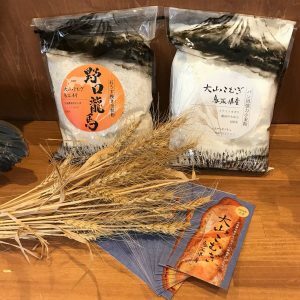 The package design of wheat flour produced in the Daisen Wheat Project was also very individual and unique. “I kind of knew that Mr. Idei, my senior from school, was doing the Daisen Wheat project. Mr. Idei was participating in a project presentation, and I happened to be there too. The presentation about the possibilities of this project deeply moved me. I asked him if I can help him by any way on my way back.” Mr. Kasaya kept on with a smile. A lot of fields where Daisen Komushi grows had a great view of the Daisen. mountain, which all the producers enjoyed it. Thus, Mr. Kasaya now runs an agricultural corporation called “Sanin Agricultural Research Institute” and decides to grow wheat himself. Until now, as the secretariat of the project, he has been mainly responsible for expanding sales channels, planning and implementation of events, public relations, etc. From know on he additionally challenges to a producer plowing down idle fields, seeds and grass cutting and so on . I asked Mr. Kasaya if he gets on tractors himself since he always looked wonderful in his suit. He says, “Yes, of course, I was just plowing the farm with the tractor few days ago.” At last Mr. Kasaya’s wheat has sprouted which the seed was sowed for the first time in Last year November.It seems that the early summer of this year will be the first harvest.When I told him that it sounds exciting, he said, “Yes, of course! 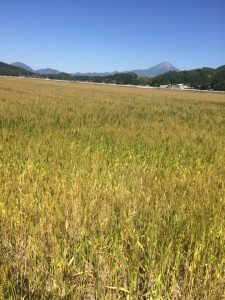 I’m really trying hard to make people say my wheat, which is milled and processed, is delicious.” It is almost time to see the powerful golden wheat which shines strongly as Mr. Kasaya’s strong and hopeful thoughts, “to cultivate this land to enrich the area”.